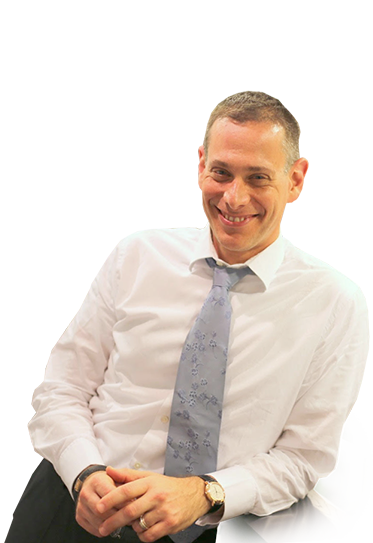 Ronen Baharav is a founding partner of Preis, Baharav & co. Ronen’s practice concentrates on all aspects of corporate, bank and asset financing as well as bank and financing regulatory aspects. Ronen Baharav has vast expertise and experience in representing both lenders and borrowers in financing transactions, as well as complex M&A transactions which require regulatory approvals and consents. Ronen has also significant experience in banking and anti-money laundering regulation, including licensing of banking corporations, acquisition of controlling stakes in Israeli banks and the securitization of financial assets. 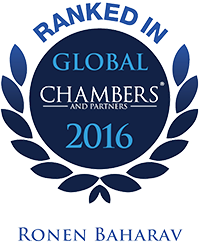 Ronen was ranked among the leading banking and finance lawyers in Israel in prestigious international legal directories. Prior to founding Preis & Baharav, Ronen was a financing and corporate partner at Herzog, Fox & Neeman. Ronen has advised all of the major banks active in Israel, the Israeli leverage funds and major corporate borrowers, in their bank lending transactions as well as institutional debt placements. Recent transactions include representation of Israel Discount Bank in several loan transactions, obtaining the required licenses and permits for several foreign banks in Israel, and several loan transactions extended by the Israeli leverage funds and other institutional investors. Ronen is also experienced in advising clients in commercial transactions, and has been leading commercial negotiations on behalf of some of the largest corporations in Israel. Ronen is a graduate of Tel Aviv University (LL.M.) and Hebrew University (LL.B.). Ronen is admitted to practice law in Israel.